In the largest-ever long-term safety study of breast implants, a similar study this year at The University of Texas MD Anderson Cancer Center linked silicone implants with higher rates of Sjögren’s syndrome, rheumatoid arthritis, scleroderma, dermatomyositis, and melanoma compared to the general population. To have an assessment for autoimmunity, please click here to receive a consultation with Dr. Celaya. Undoubtedly, it will take much larger and longer studies to root out the details and bring about protective actions, and in the meantime, doctors and patients need to have deeper conversations about the benefits and risks of silicone breast implants. If you would like a Free Consult with Dr. Celaya, please click here. 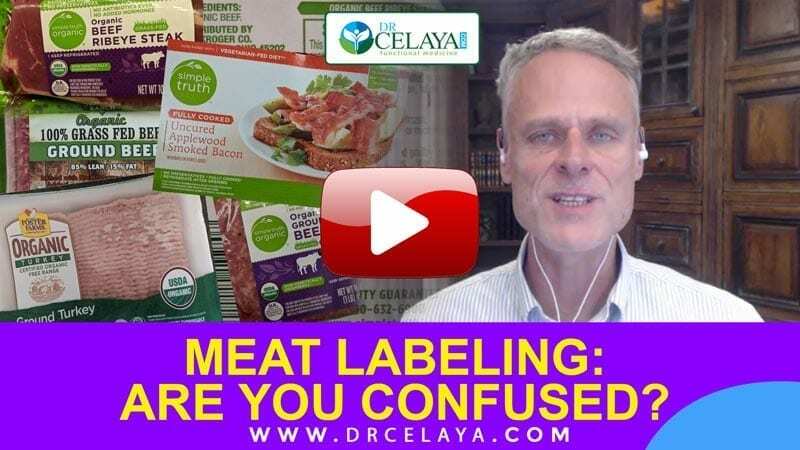 Meat Labeling: Are you confused? 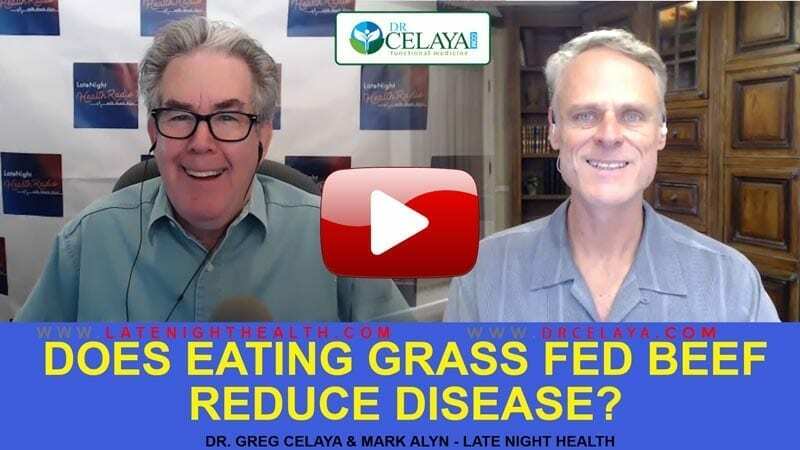 Does eating GRASS FED BEEF reduce DISEASE? Can living at high altitudes can increase your depression? Emerging research reveals that higher-altitude living contributes to a higher risk for depression and suicide. While studies continue to look into the mechanisms behind this trend, it’s clear a variety of factors come into play. From the unique effects that altitude has on the brain to social and psychological aspects of life in the high country, many of these factors are influenced by your lifestyle and dietary choices. 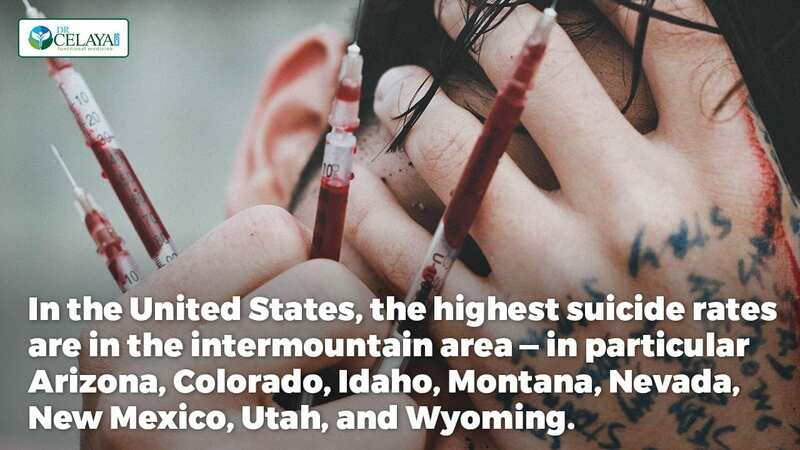 In the United States, the highest suicide rates are in the intermountain area — in particular, Arizona, Colorado, Idaho, Montana, Nevada, New Mexico, Utah, and Wyoming. Wyoming comes in first with two times the national suicide average, and the other states on this list consistently score in the top ten nationwide. Resort town life: A recipe for desperation and impulsiveness? While some studies reveal physiological factors behind the altitude-linked descent into suicidal depression, the experts say social, economic and cultural factors can also play a role. During mud season, while everything is either buried in spring snowmelt or autumn rain, the tourists disappear, locals have little to no income, and one’s sense of displacement, isolation, depression, and uncertainty can increase dramatically. Having to make it through this tough time twice a year, every year can cause high levels of stress and depression. Schedule a FREE 15-Minute Consultation with Dr. Celaya. Social isolation. 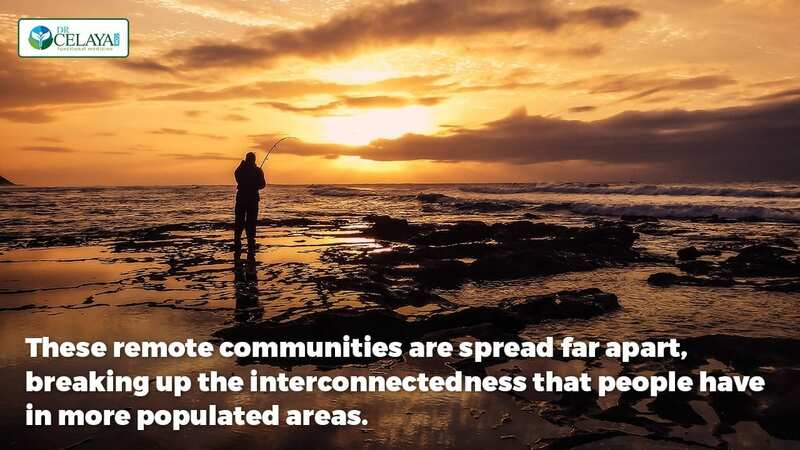 These remote communities are spread far apart, breaking up the interconnectedness that people have in more populated areas. In addition, many residents come and go during “mud season,” making it hard to develop strong social bonds. This undermines the creation of the well-established intergenerational relationships, deep social connections, and the resulting support systems known for supporting mental health and stability. Financial struggle and uncertainty. When we think of resort towns, we think of enjoyment and freedom surrounded by natural beauty. However, the reality for many residents is a life of working two to four jobs during tourist season, the twice-yearly mud-season of unemployment, unaffordable housing that changes frequently, and constant financial worries. This puts enormous stress on individuals, families, and relationships. Party culture and substance abuse. Resort towns are notorious party towns, and the use of alcohol and other drugs is more prevalent. According to Mental Health America, substance abuse is likely a factor in half of all suicides, and the lifetime rate of suicide among those with alcohol problems is three to four times the national average. A recent Harvard study analyzed previous studies linking life at higher altitudes to increased risk of depression and suicide. While more than 80 percent of US suicides occur in low-altitude areas, that’s because most of the population lives near sea level. Adjusted for population distribution, suicide rates are almost four times higher at high altitude versus low altitude. A possible physiological explanation for this trend has been considered: Chronic hypobaric hypoxia, or low blood oxygen, might alter serotonin and dopamine metabolism in the brain as well as negatively influence how energy is transferred in cells and tissues. Lowered serotonin production. Studies also show high altitude reduces serotonin levels, which is associated with mood and anxiety disorders. 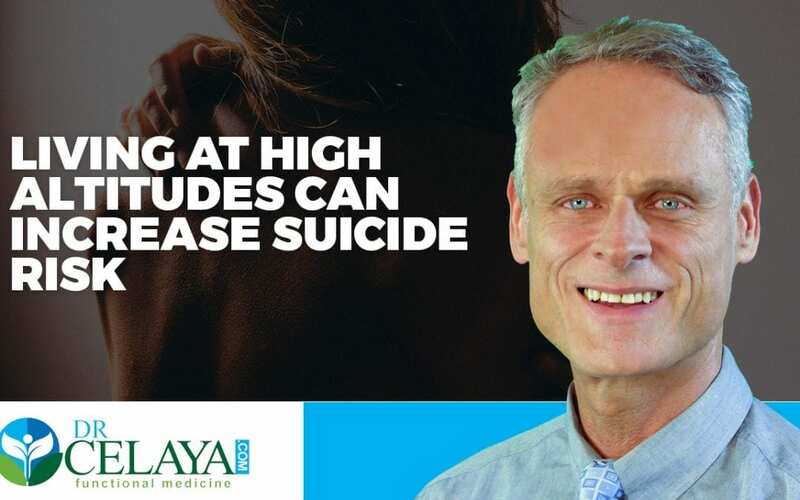 And the higher you go, the greater your risk for suicide. In fact, Salt Lake City residents have a 30 to 40 percent higher risk of suicide just based on their altitude compared to those at sea level. Nearby Alta and Snowbird — both ski resort towns — have a suicide rate two times that of the national average. Raised dopamine production. On the other hand, altitude increases the production of dopamine, the brain neurotransmitter associated with pleasure-seeking and risk-taking. 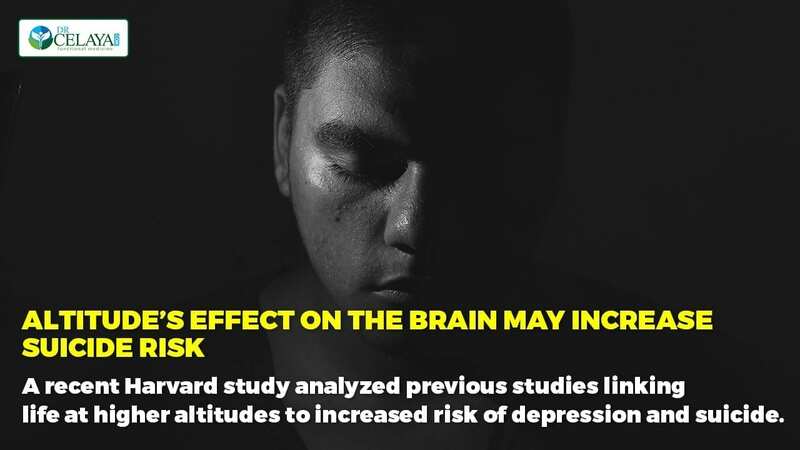 This is complicated by the fact high altitude living attracts outdoorsy risk-takers who may already have increased dopamine levels that make them prone to the impulsivity associated with suicide. While we need more research into the altitude-suicide connection, it’s clear that high-mountain living presents many challenges to mental health. If you live in a high-altitude location, be aware of the factors below to see if your risk for depression and suicide may be higher. Anti-inflammatory diet to support brain health. Ongoing research reveals a strong link between brain inflammation and various depressive disorders. Support your body’s ability to quell inflammation with a diet free of common allergens and reactive foods. Symptoms of blood sugar dysregulation. Imbalances in blood sugar can be at the root of many mood issues. Support your stress response with adrenal adaptogens and phosphatidylserine. Moderate your caffeine intake. Caffeine can stress your adrenals, making it harder to cope with high stress. Support serotonin levels with 5HTP (a serotonin precursor) or L-tryptophan. Support brain bioenergetics with creatine. Use moderate exercise to manage stress levels and support brain health. Stress management practices such as meditation, chi gong, and yoga help to moderate stress and relieve depression. Actively build community and social connections by joining a volunteer group, drama club, book club, or other organization. Know the signs of increased social isolation in yourself and loved ones. If you have substance abuse issues, please contact my office for a referral for assistance. Check for deficiencies in vitamin D, B2, and iron, all of which can affect mood. High altitude life has many joys and benefits, and it doesn’t have to be a recipe for depression disaster. To learn more about how you can support your well-being while living at altitude, please contact my office. For emergency help, contact the National Suicide Prevention Hotline at 1-800-273-8255 or suicidepreventionlifeline.org. If you feel that something is wrong, and your doctor is just not getting to the bottom of it, schedule a FREE 15-Minute Consultation with Dr. Celaya. Why your doctor doesn’t understand adrenal fatigue. If you struggle with chronic exhaustion, insomnia, poor immunity, and persistent low blood sugar symptoms, you likely have poor function of the adrenal glands, which sit atop the kidneys and secrete stress hormones. However, your conventional doctor may have told you there is no such thing as adrenal fatigue based on guidance from The Hormone Foundation. What they may not understand is that there is a continuum of adrenal function and that the brain plays a role in adrenal fatigue. The term “adrenal fatigue” has become a household word in the chronic illness world, and for good reason. The adrenal glands are our frontline against stressors large and small. In our constantly chaotic and nutritionally-depleted lives, these hard-working little glands can become worn down, sometimes to the point of barely working, right along with the areas of the brain that govern them. 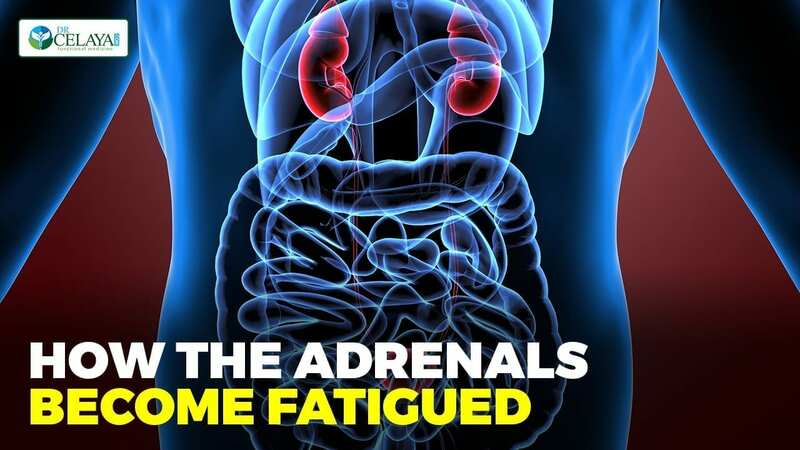 What’s confusing is a recent statement by The Hormone Foundation which claimed adrenal fatigue does not exist and is not supported by any scientific facts, and that primary adrenal insufficiency is the only real version of adrenal dysfunction. 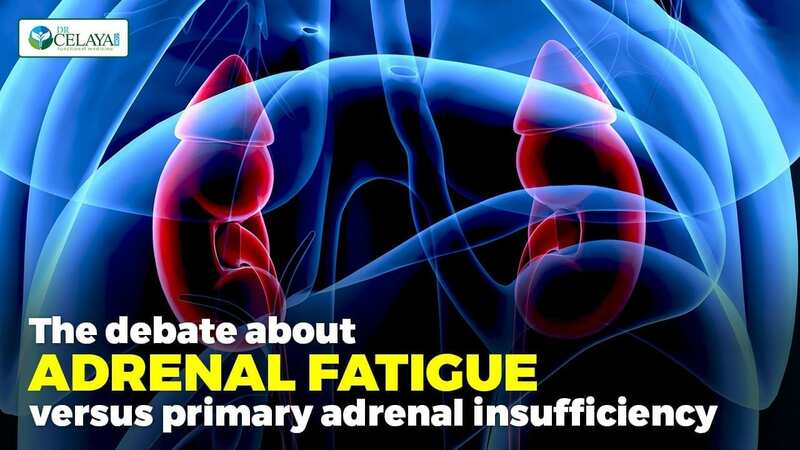 However, according to integrative physician Richard Shames, MD, both adrenal fatigue and primary adrenal insufficiency exist along the same continuum but are separated by the severity of symptoms and treatment methods. In a nutshell, adrenal fatigue can also be referred to as mild adrenal sufficiency. If you really want to know about your adrenal health, schedule a FREE 15-Minute Consultation with Dr. Celaya. Primary adrenal insufficiency is caused by damage to the adrenal glands, such as by an autoimmune condition like Addison’s disease that attacks and destroys adrenal tissue. Primary adrenal insufficiency is diagnosed through blood tests and can be treated with medications that replace adrenal hormones. Functional medicine practitioners diagnose adrenal fatigue by considering symptoms as well as results from a 24-hour saliva cortisol test. Current blood tests are good at diagnosing severe forms of adrenal insufficiency such as Addison’s disease but not mild adrenal insufficiency, or adrenal fatigue. This debate between adrenal fatigue and primary adrenal insufficiency is reminiscent of the former debates about “mild” hypothyroidism. Twenty years ago, many endocrinologists denied mild hypothyroidism as a true diagnosis because they believed that as long as a patient was within conventional TSH reference ranges they could not possibly be sick. However, doctors trained in functional medicine recognize that a functional reference range — a narrower TSH range that reflects optimum thyroid health — means that a serious thyroid problem can exist within the conventional TSH range. As testing and recognition of adrenal fatigue, which affects many people, continues to gain medical acceptance, we will start to refer to it as mild adrenal insufficiency. 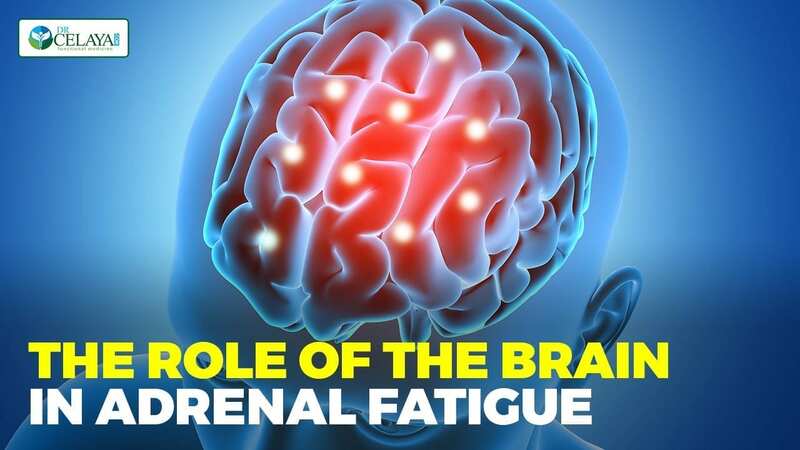 It’s important to understand the brain plays an important role in adrenal fatigue. This explains why nutrients to support your adrenal glands may not go the full mile when the real problem is happening between your ears. Adrenal fatigue has at its roots poor function of the hypothalamus-pituitary-adrenal (HPA) axis. The HPA axis refers to the feedback loop between your body and areas of your brain that govern adrenal function. Unrelenting stress beats up this entire system, not just the adrenal glands, and it is more complicated and involved that simply low cortisol. The problem is compounded by the brain’s predilection for efficiency, in this case becoming so efficient at stress until the tiniest thing triggers a big stress response. Or, you are so advanced you are too tired to respond to anything. When our bodies experience stress, no matter how small or large, our adrenals pump out hormones such as adrenaline and cortisol to help us fight or take flight. Our bodies are designed to return to baseline after a stressor so the nervous system can return to a “rest and digest” state necessary for daily function. However, in our chronically stressed modern lifestyles, our bodies are constantly reacting to stressors, many we are not even aware of, such as dietary triggers, toxins, and even electromagnetic frequencies. Removing all stressors in life is impossible, but there is much we can do to support adrenal function and buffer the damage of stress. Adrenal adaptogens and phosphatidylserine are two natural routes that especially support the HPA axis and the brain’s ability to handle stress. There are so many issues related to adrenal problems. 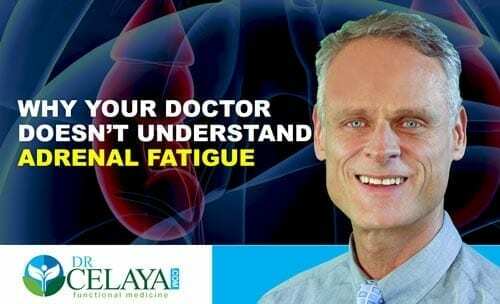 To get to the root cause of your problems, schedule a FREE 15-Minute Consultation with Dr. Celaya. Your food may be causing Joint Pain.